Proudly serving southern Arizona for 40 years! 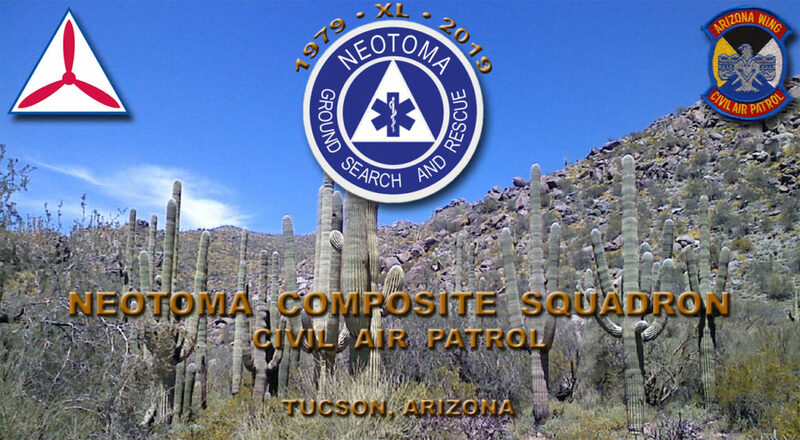 The Neotoma Composite Squadron is dedicated to providing southern Arizona with a well trained Ground Search and Rescue resource, promoting aerospace education, and providing high quality Cadet programs to support the missions of Civil Air Patrol. Welcome to Neotoma Composite Squadron! Neotoma Composite Squadron (NCS) was founded in 1979 to fulfill the need in Pima County for a ground CAP Search and Rescue Unit. Civil Air Patrol’s three missions are: Emergency Services, Aerospace Education, and a Cadet Program. The Cadet corps (ages 12-21) in NCS receives the same Emergency Services training as the Seniors (ages 18 and up.) This training’s goal is to eventually lead to qualification as a ground team member or leader. The Cadets and Seniors have their own advancement programs. Cadets begin as Cadet Basics and advance through four Phases consisting of 16 Achievements to Cadet Colonel. Each Achievement has its own components that include Leadership, Aerospace Education, Character Development, Physical Fitness, and Activities. Cadets wear the USAF-style uniform and as such must conform to USAF grooming standards. Drill is an integral part of cadet training. NCS Cadets also receive Color Guard training. Upon completion of Phase II, cadets earn the Billy Mitchell Award which then opens the doors to scholarships and National special activities. It is also looked favorably upon by the US Armed Services for increased advancement should a cadet decide to enlist or try for a slot in one of the US Service Academies. Cadet Membership is open to youth ages 12 to 21. If a person joins CAP at age 18, they must join as a Senior Member. Cadets who join before their 18th birthday may remain a cadet until age 21. The cadet must be a US Citizen or resident alien granted permanent residency in the US. They must be attending school (or home schooled) and advancing regularly. They must be of good moral character and must be accepted by a CAP unit for membership. Cadet cost for membership in AZ is $38 per year. Senior membership is open to anyone 18 years of age or older. Seniors participate in emergency services, communications, aerospace education and more. Senior member applicants must be at least 18 years of age, a U.S. citizen (either born or naturalized), and have no felony convictions nor a dishonorable discharge from any of the Armed Forces. Senior members are also required to submit a FBI Fingerprint Card (FD-258) along with their application. As with cadets, senior member applicants must be accepted by a CAP unit for membership and pay annual membership dues. The current membership dues in AZ is $65 per year. We have a good group of people in the Neotoma Composite Squadron and would be happy to have you visit. Please contact us if you have any other questions. Disclaimers: While Cadets are offered Orientation Flights, it is not guaranteed that CAP membership will lead to cadets becoming pilots or observers. Cadets are under no obligation to join any of the Armed Forces. Membership is voluntary and can be terminated at any time for gross regulation violations or non-participation. 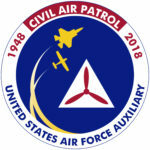 Click HERE to find out more about Civil Air Patrol!